Avocados for dessert? Yep. The proof is in the pudding. I think much of my passion for good tasting healthy food comes from my Grannie. For most of my life, she’s been a real health nut. She and I can talk food and health all afternoon. We get excited sharing our latest nutritious food finds. When I was pregnant, she sent me a bar of dark chocolate, a baggie of walnuts, and a box of healthy cookies with instructions to eat a piece of chocolate, a walnut, and a cookie all in one bite for a not-too-bad for you treat that hits the spot. She knows my kind of perfect bite like no one else. Rumor has it that she wasn’t always this way, though. There are tales from my mom and aunt of rich, sugar-filled, high calorie desserts after almost every meal. I suppose I could see this in Grannie. She still gets giddy over a delicious dessert. She sent me this recipe (below) and I had to wonder if my Grannie and I are the only two women in our family who can get this excited about pudding made from avocados, cocoa, and dates? She sold me on the recipe with this adorable email. This is why I love her so! 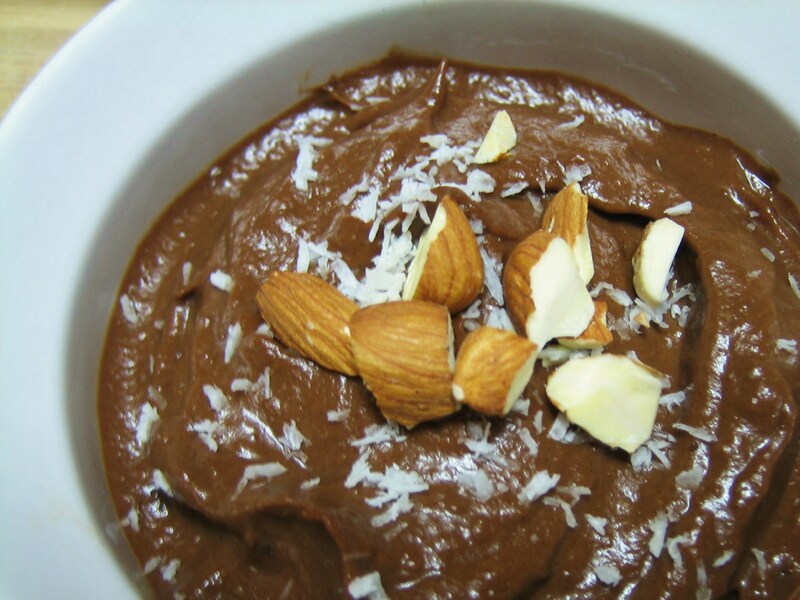 I’ve found a recipe for pudding that calls for no dairy, no milk, and no eggs! And it tastes really good! So, in case you’re hungry for pudding here’s the recipe…. A sprinkle of toasted almonds is nice, and half a maraschino cherry on the top makes it elegant — and how much damage can 1/2 a teeny, sugary cherry do? I tried a small recipe first. It was yummy, so like Goldilocks visiting the Three Bear’s house, I tried a MUCH BIGGER bowl. Isn’t she adorable? 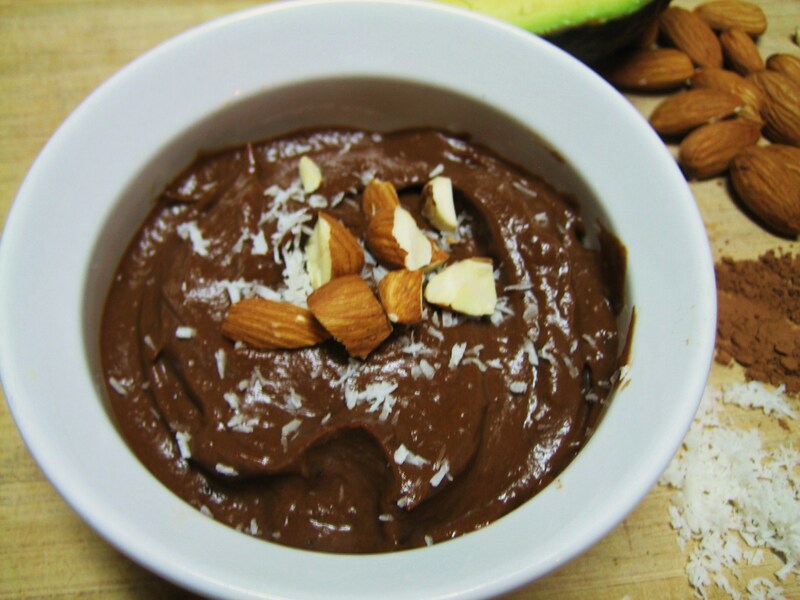 And don’t you want a bowl of chocolatey avocados now, too? Sprinkled with shredded coconut and toasted almonds, it tasted like Almond Joys. Topping options: almonds & shredded coconut for Almond Joy Pudding. Crumbled Oreo cookies & gummy worms for kids Worms in Dirt dessert. Coconut whipped cream and maraschino cherries. Shortbread cookies and raspberries. Soak dates for one hour. In a small food processor bowl (or high power blender), combine avocados, pitted and chopped dates, vanilla and about 1/2 a cup of milk. Blend, adding more milk and scraping down the sides as needed. I did have to stop and scrape several times, but with some patience it eventually got very smooth. Add cocoa a tablespoon at a time until it’s as chocolatey as you like. Taste for sweetness and add agave (or your preferred sweetener) if desired. Top with your choice of toppings. Serve immediately. Note: I haven’t tried refrigerating this to store it since there have been no leftovers when I’ve made this yet! My mom has a great method for storing guacamole by putting leftovers in a plastic Ziplock style sandwich bag and pushing as much air out as possible. Since the recipe uses avocados, I think this might be the best way to store it. Let me know if you make it and have enough leftover to store it! Does this really not have any cocoa in it? Kelly, Good save!! Rachel had exactly one hour at an internet cafe in Florida (no wifi on the little island where Jared’s family is) to upload two blog posts. She asked me to look them over and edit, but I also missed the missing cocoa. Will correct asap. Thank you. 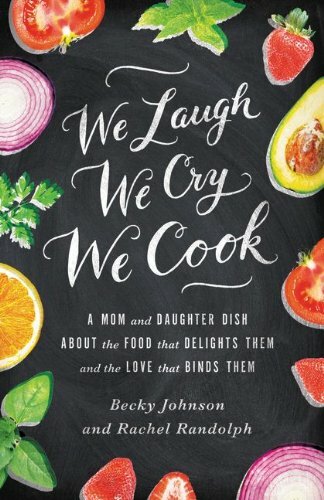 NOTE ABOUT RECIPE from Mama Becky: Just talked to Rachel from her remote island in Florida. (Which she pronounced, “Florieada.” Must be happy hour at the Randolph compound.) Anyway, she wrote this post in such a hurry in the tiny amount of time she had at the local Internet Cafe before it closed, and bless her heart, she had to take a ferry to get to it! (If you only knew some of the crazy things we’ve done to get a post up!) I’ve now corrected the recipe — adding the missing cocoa. Also amount of milk needed clarified. Done. And we really do both know that “giddy” is not spelled “gitty” as original posted, but so thankful a reader caught that mistake for us. Some days it takes a village to get a blog post right! Love our alert and helpful readers. Thank you!